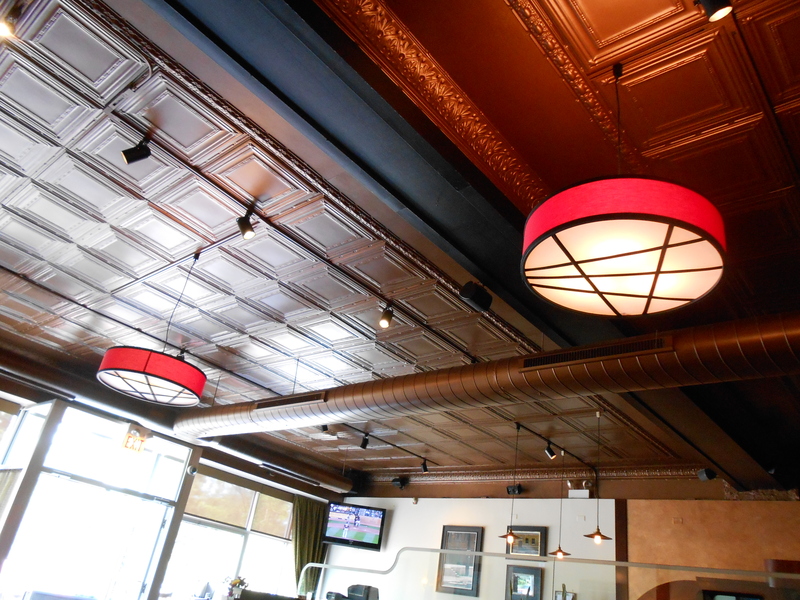 Dunlays on the Square is located in Logan Square. It is a bar and grill with outdoor seating at 3137 W. Logan Avenue. While there I tried their Fish and Chips. 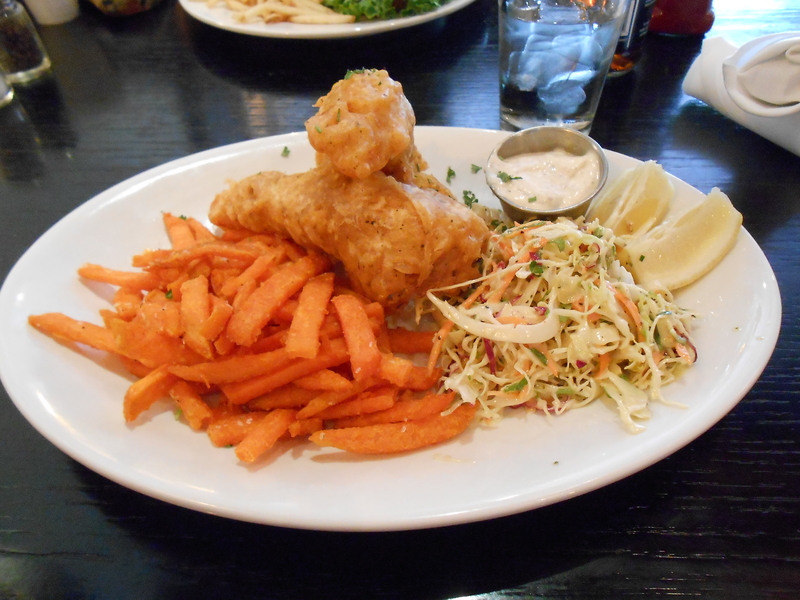 I got their beer battered cod with a side of cole slaw and exchanged the french fries for sweet potato fries. The food was good, I enjoyed the dippings sauce they gave me, it wasn’t exactly any kind of tartar sauce I’d ever had before. The restaurant had a nice quiet atmosphere which I’m sure changes in the evening when the bar comes to life.